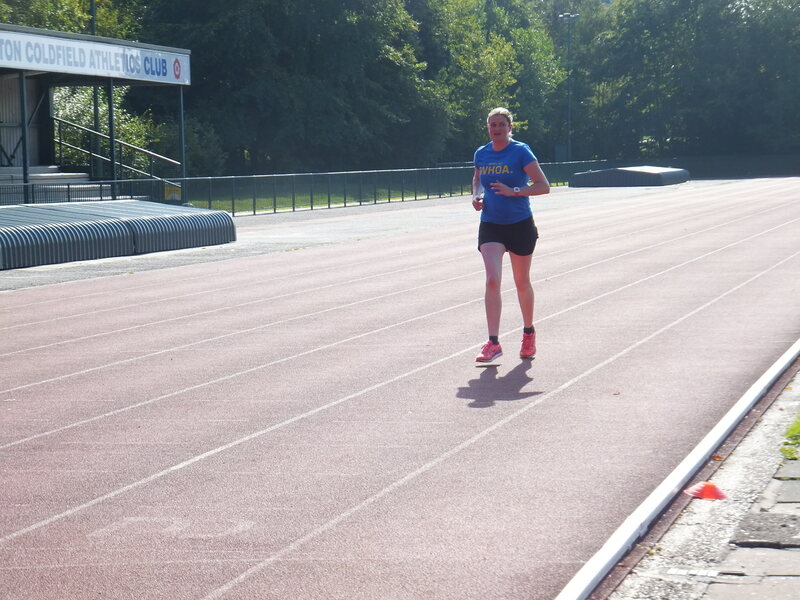 After several weeks of avoiding any form of running, yesterday lunchtime I headed to the local athletics track for a trial (I wish that it had been a trail) run. The sun was shining, there was a gentle breeze and the sky was blue. Conditions were perfect for running. 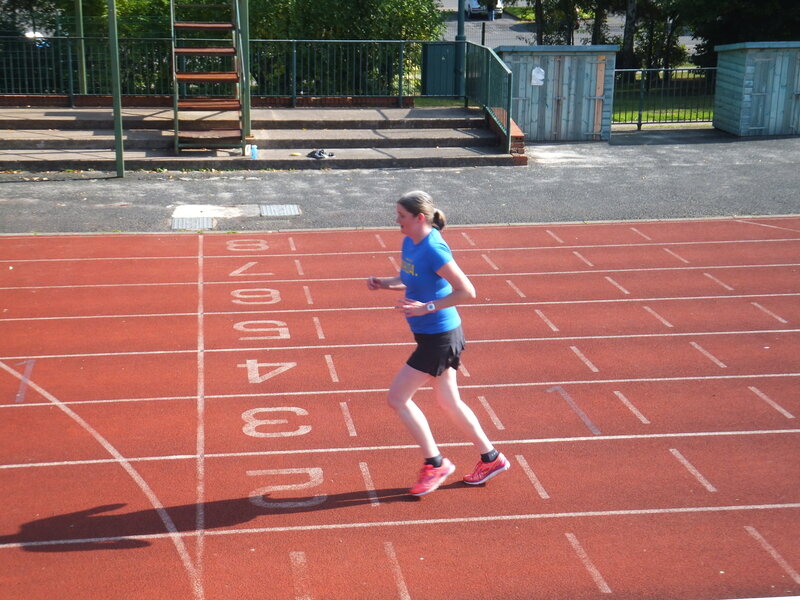 When I arrived at the athletics track I felt a sudden surge of positivity. After a brief warm-up, I decided to adopt a run-walk-run strategy. I would run for four minutes, walk for a minute and assess my right knee and repeat. 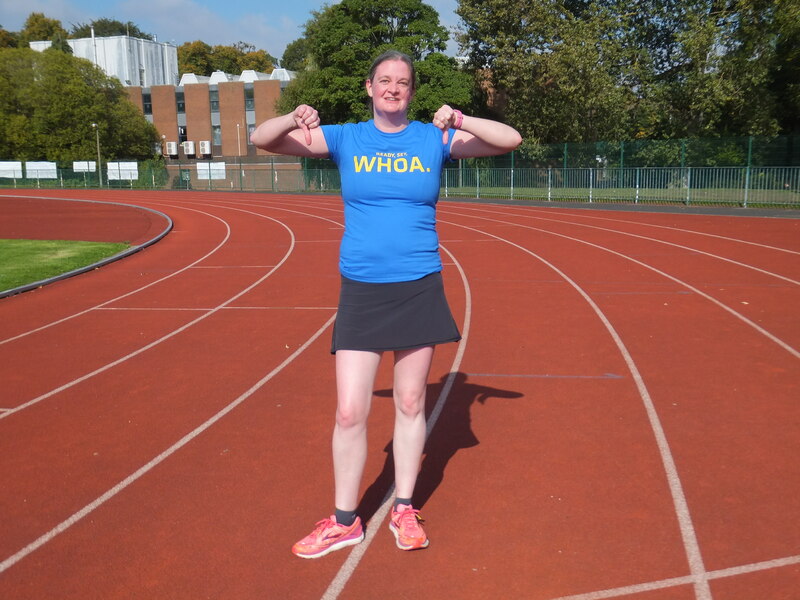 I set off with the aim of completing 3000m. I didn’t want to overdo it on my first run. The run started well and my knee was pain free. Happy Emma! Although when I reach for a magnifying glass, I think that my right foot looks slightly twisted? To not feeling quite so strong. By the final lap my right knee was definitely slightly sorer than when I started 😦 Trying not to cry! 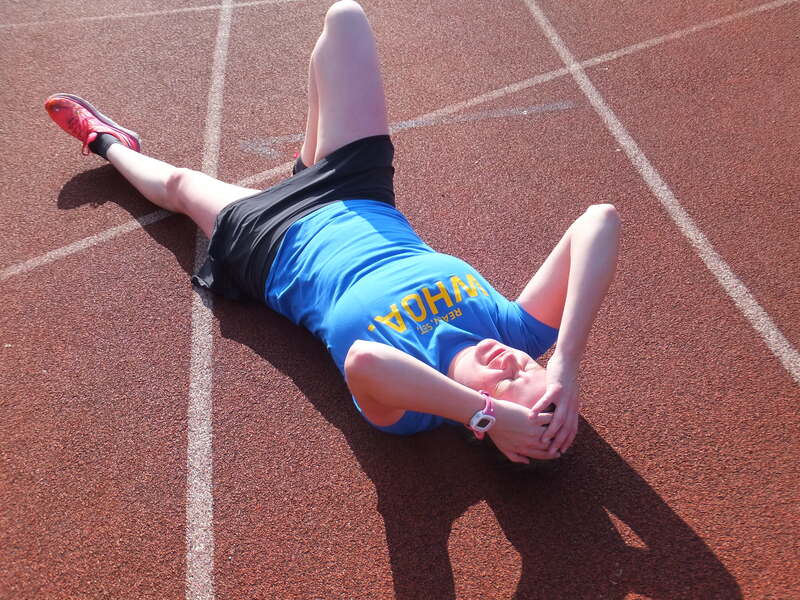 I made it to the end of the 3000m, lay down on the track and sulked. What post run stretching? My right knee said no! 😦 It looks like it’s back to resting and stretching. 😦 Though, perhaps you have to recharge the pain nerves to the knee. 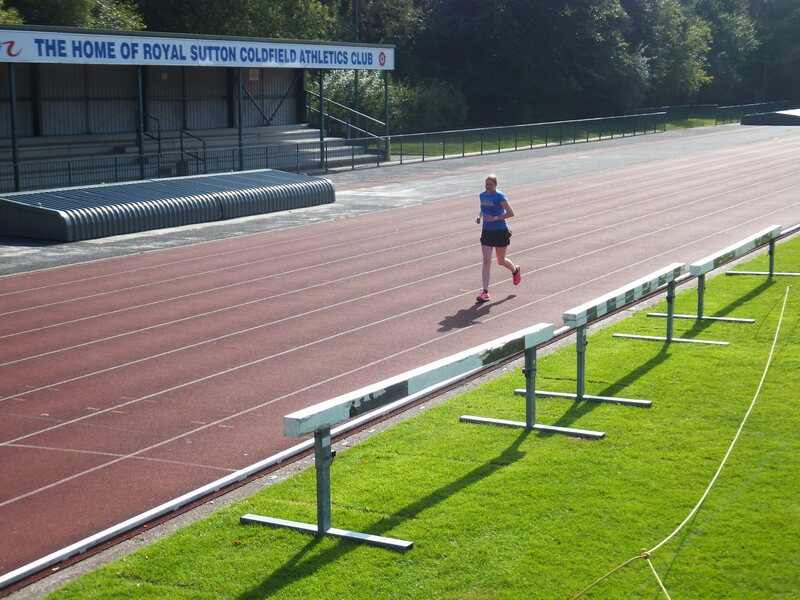 Sometimes the second run after a break is the one where you can determine if you’re feeling better. I completed a 10k walk on Friday and my knee was still really sore. It hasn’t felt ‘normal’ all weekend. I’ll be getting in touch with my doctor in the morning to see what he suggests. After my negative physio experiences last year, I’m reluctant to spend money I don’t really have looking for answers. Aw man, really hope you get this sorted soon. It’s been going on for so long. Hope a doctor visit goes well.